The model - the second Duple Metsec bodied Dennis Trident for KMB comes in the now standard champagne livery for its new low-floor buses. 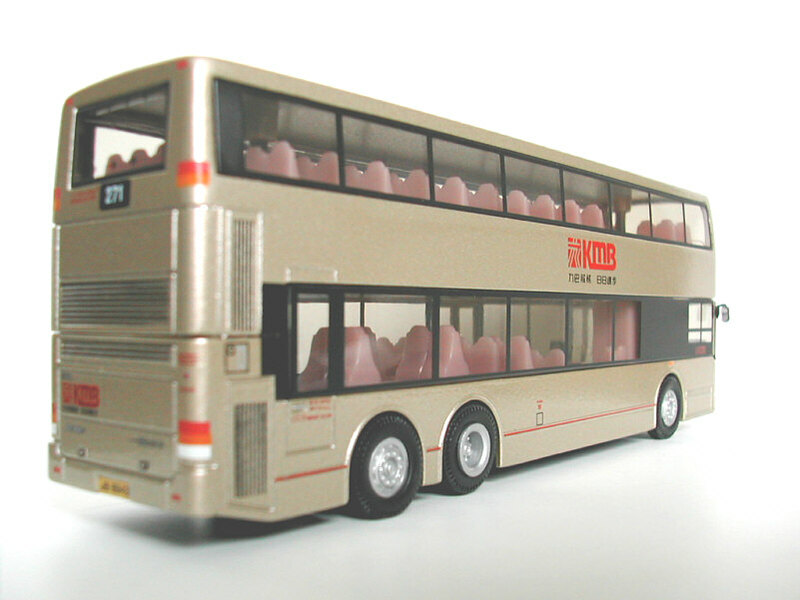 This model was a surprise release, following closely on the heels of KMB's Neoplan Centroliner model produced by Drumwell (Model No. 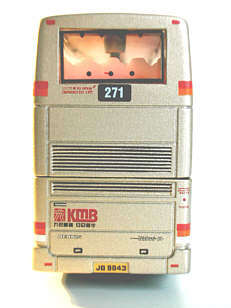 DW10102). 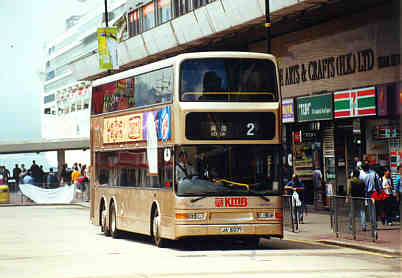 The bus - One of KMB ATR class, which comprises of both Alexander and Duple-Metsec bodied Tridents, ATR144 entered service in May 1999. 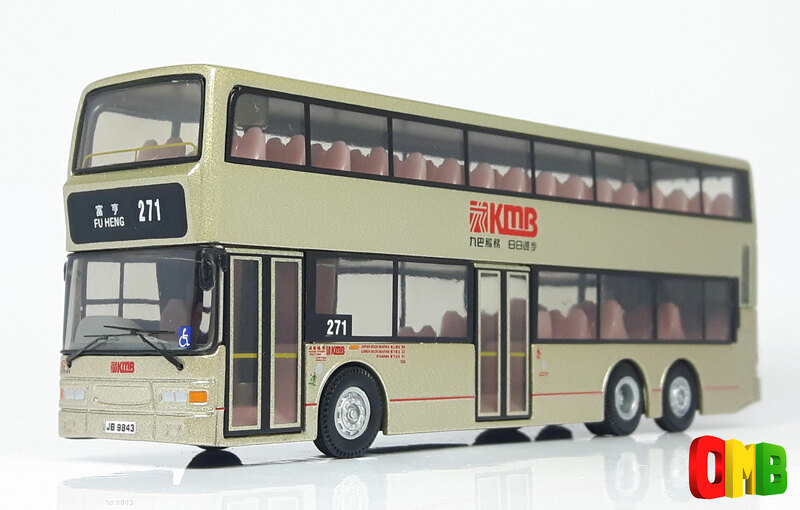 Whilst this Trident/Metsec model has been around for some time now, it's good to see that Corgi have made some further, although minor, improvements to this model, even after the recent Citybus models with their revised interiors. This includes decent, realistic looking wing mirrors, the now standard photo etched wipers, but no Octopus smart card equipment. 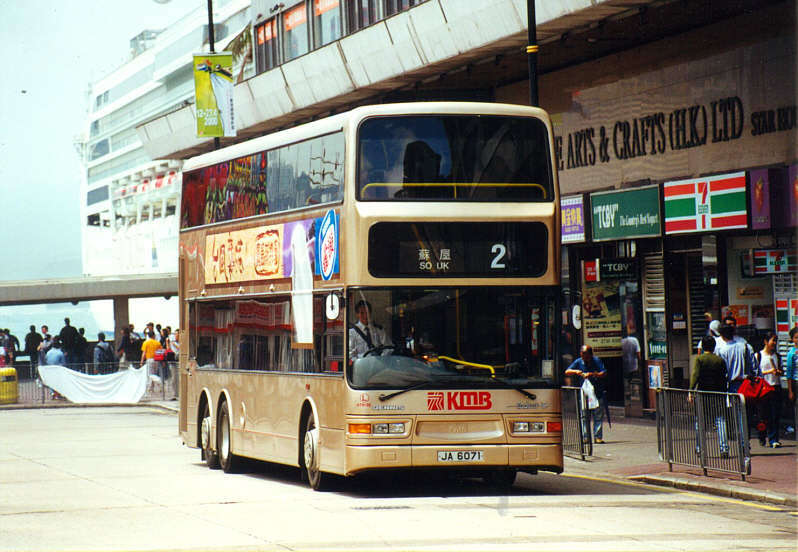 This is however excusable as not all their routes have been equipped yet. 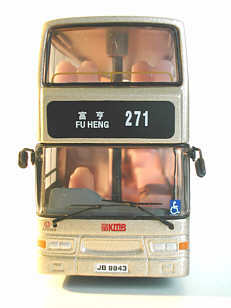 The front interior dash has been painted grey compared to the rest of the interior which is pink. 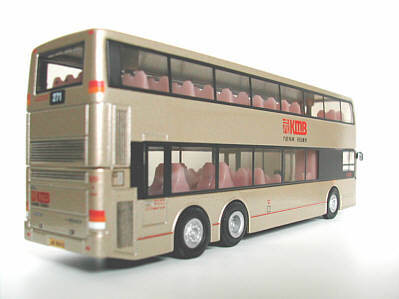 This does let the model down a bit as other manufacturers now have different coloured floors and seats. Standard Corgi "modern" wheels are being used rather than the correct wheels that Drumwell models have. It would have been good to see Corgi amend this as well. Overall the model does look good and tidy given although the casting shows its age compared to the Drumwell models. 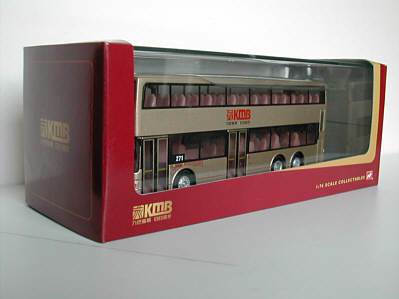 The livery is nothing special, but does fill that gap in the KMB model bus fleet.